Big thank you to Steve Hall for speaking at a pre-Snowpocalypse Rock Star Venture Capitalist on Tuesday, January 17. Steve brought a fresh perspective and practical advice in his “A VC’s Guide to Joining the Right Startup” presentation. Ideas do not make a great company, but execution does. Think Facebook, not Friendster. 2 Due diligence is critical. Understand the market and the competition. If you are not willing to pay for the product or service, why would anyone else? There will always be gaps in due diligence, but minimize them. Some great local examples of Gist and Redfin. Be sure to join the company for what it will be tomorrow. This resonated the most with me. Startups are typically not prepared to deal with sophisticated questions around valuation. If you are willing to take the risk, they should provide a picture of the value of options as compensation. Time is capital. Give an opportunity 2-3 years, if it is not there do not be afraid to cut your losses. Thanks again, Steve, a true Rock Star! 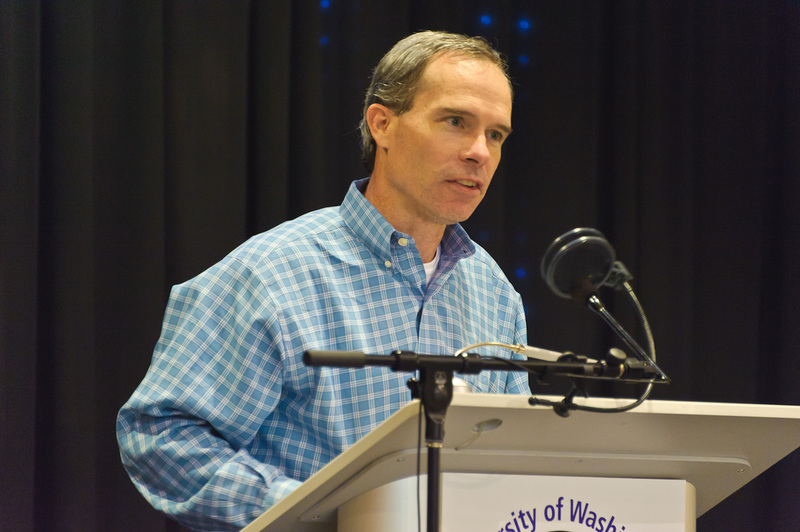 Many, many thanks to Matt McIlwain for speaking at Rock Star Venture Capitalist on November 7. Matt has a reputation for bringing his “A game” and this was no exception. Approximately 65 people from cross-sections of UW and the Seattle startup community took in Matt’s observations of the ingredients of a successful entrepreneur. The talk started out broadly setting the stage of innovation as a journey and how it is a critical part of the economy. 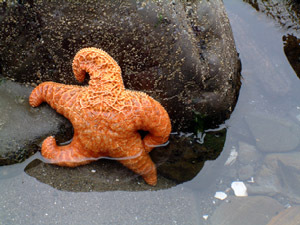 The long term benefit is a ecosystem with network effects. Specifically, Microsoft beget Real Networks, Real Networks, ADIC, F5 and UW CSE helped beget Isilon and now Isilon has beget Clustrix and Corensic. Matt believes, as many here do, that Seattle is uniquely positioned to be not only as major tech hub, but one that can be bigger than Austin, Boston, Los Angeles and New York. The ecosystem and the entrepreneurs who thrive in the ecosystem are key. Sunny Gupta of Apptio is a great example of relentless customer focus. He understands not only value creation but also value capture. Glenn Kelman of Redfin is so passionate about the domain, even through he had no prior experience in it, that Redfin has seriously disrupted real estate. Check this 2008 Forbes article for how disruptive Redfin has been. 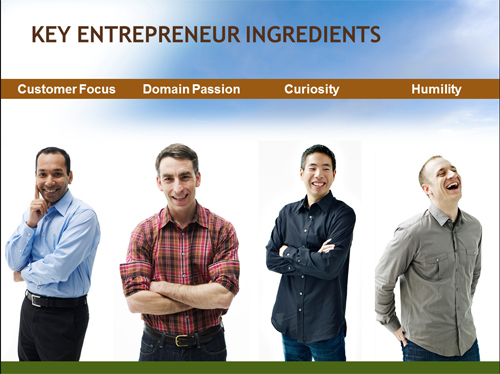 Andy Liu of BuddyTV personifies how entrepreneurs must dream and execute. Brad Jefferson of Animoto is a prime example of not letting ego stand in the way of success. Animoto stopped and redesigned their architecture around the then newly emerging AWS platform. Thanks again to Matt, a true Rock Star! Very excited to be working with the Brian Otis, Ken Myer, Henry Berg and Mike Clarke on the Bumblebee wireless sensor this summer. Apparently, you have to have 10 letters or less in your name to work on this project. Kidding aside, this is a very slick processor with some amazing capabilities. A big thank you to the Institute of Translational Health Sciences for the fellowship that made this possible. Another big thank you to the Center for Innovation and Entrepreneurship at the Michael G. Foster School of Business for the opportunity. 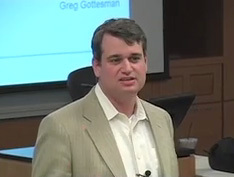 Start-Up Culture by VC Greg Gottesman from Foster School of Business on Vimeo. Last month Greg Gottesman accepted my invitation and spoke at Rock Star Venture Capitalist #2. He did an awesome job going through 13 characteristics of great companies as he has observed through his many years in the VC game. Check out some of the highlights and the original post on the Foster Unplugged blog. Thanks again to Greg, a true Rock Star! Brad Feld wrote a post yesterday that really hit home: Feld Thoughts: A Message to Graduating MBAs. My career has been conventional and unconventional with the goal of always remaining relevant. For a long time this was implementing CRM systems. First Siebel then Motive. I worked my tail off with the result being some impressive implementations at some very notable clients. That even led to be branching out solo twice. The second time around sailing solo, the boat capsized. Unlike other downturns, I did not navigate this one well. I spent a lot of time and energy pursing opportunities that were not a good fit. My dad who was a software entrepreneur consistently said during my childhood that you cannot know good times unless you know bad. Bad found me big time in 2008. On many levels, I thought I had failed as a provider, husband and father. About a decade earlier, I made the decision to not pursue an MBA. The opportunity cost was too high. Salary and position were comparable to graduating MBAs. Though it had been a goal since the age of 17, it did not make economic sense. I have been fortunate to have an amazing partner and friend in my beautiful wife Andrea. She suggested that may I think about going back to get that MBA. Being settled in making Seattle our home, the Foster School of Business at UW made the most sense. I am glad that I went back. First, it rejuvenated the intellectual passion that had faded over the last few years. Second, it fills any resume gaps that remained. Third, the environment has been incredible for networking locally. But best of all, it provided a space for me to get back to being me. 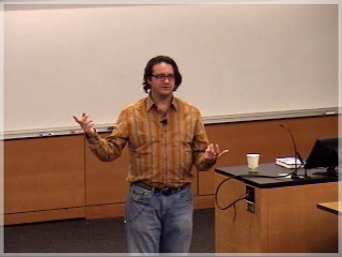 One of the cool things I have been able to do was to recruit Brad Feld to come speak at UW. You can read about his talk here. This lead me to start the Rock Star Venture Capitalist Speaker Series. Brad’s post is not Steve Jobs’ Stanford Commencement speech, but his point is clear. Go making meaning. Do what you are meant to do. If it was written 20 years ago it would have been titled Carpe Diem. I will be finished in December and working to being my best again. Just a warning: Watch out. A big thank you to Greg Gottesman for speaking at my Rock Star Venture Capitalist Series last night. The Paccar Hall room was packed with MBA’s, biotech PhD’s, Computer Science graduate and undergraduates as well as folks from Cheezburger and the Seattle startup community. Greg gave an excellent talk on startup culture, funding tips and his famous Junior Mint story. Greg is a true “Rock Star” who has my appreciation and thanks. Huge thank you to Brad Feld for accepting my invitation to come talk to UW. In spite of the snow, which ridiculously shuts the city down, approximately 80 people from MBAs, biotech PhD candidates, computer science graduate students, VCs, entrepreneurs and the local startups Impinj, BigDoor made their way to Paccar Hall at University of Washington last night. Brad kept the audience interested with a wide range of topics from marathon running as an analogy for business and why we will all have embedded electronics in 20 years. Questions ranged from TechStars to startup visa and intellectual property and how to get more connected to entrepreneurial communities. Brad blogged about it here. His book Do More Faster is a must read. If for anything, you learn why Brad wants to grow up to be just like the Jedi Master Yoda. One thing I know about myself is that I am better when I have a full plate. To stay busy, I enrolled in the Evening MBA program at University of Washington’s Foster School of Business last fall. I have been impressed with the curriculum and faculty. The Blue Ocean Strategy was a recent assignment. The concept is about value innovation. “Red” oceans are known industries and markets. The competition is constantly trying to outperform rivals and the waters bloody. “Blue” oceans are industries and markets that are unknown today. Demand is created rather than fought over with ample opportunity for growth and profit. Blue oceans are often created from red oceans. A competitor finds an opening to create value and finds their blue ocean. Several examples are cited. The authors, Kim and Mauborgne, are too dismissive of red ocean companies. They state that corporate strategy is heavily influenced by its roots in military strategy. Competition, confronting the opponent and driving him from the battlefield are listed; however this is not military strategy. It is the goal of a direct attack. It made me think how the blue ocean strategy would compare to Sun Tzu’s The Art of War, one of the oldest and most successful books on military strategy. 1) All warfare is based on deception. 2) In all history, there is no instance of a country having benefited from prolonged warfare. 3) Supreme excellence consists in breaking the enemy’s resistance without fighting. You can only be sure of succeeding in your attacks is you only attack places that are undefended. Pretty clear talk of finding uncontested market space, capturing new demand and making the competition irrelevant. In contrast, red oceans are prolonged fights exploiting differentiation or cost. These are commodity markets, not drivers of innovation. Blue oceans are value innovators and clearly have roots in military strategy from the 6th century BC.